The SP-1225G is a ground-drive spreader designed to tow behind tractors, ATVs and Utility Vehicles (UTVs) in Elizabeth. 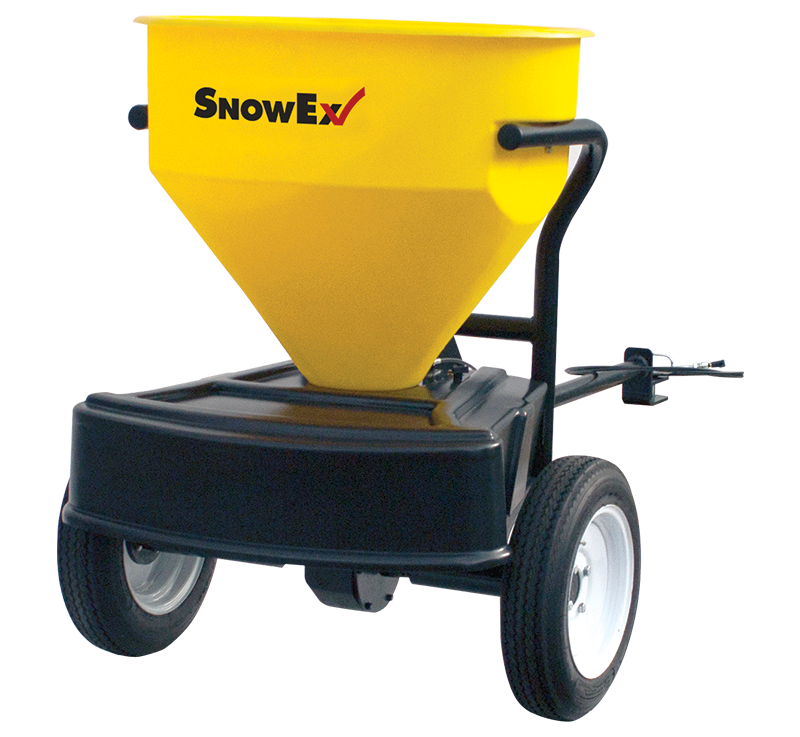 The 12-cubic-foot hopper is capable of spreading bagged rock salt and chloride pellets up to 40 feet at 5 miles per hour. Ideal for use on parking lots and other off-road applications, the Ground Drive is available with a deflector kit for narrowing the spread width so that it can be used on sidewalks as well.